Alphabus is a programme initiated by ESA and CNES to jointly develop a product through a project industrial team made of EADS Astrium and Thales Alenia Space. 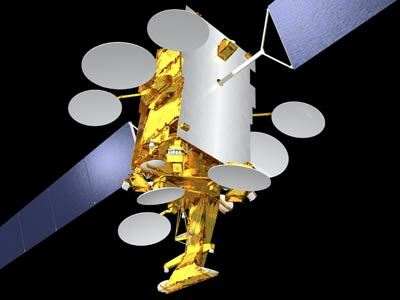 It is a new multi-purpose platform for the high-power payload communications satellite market. 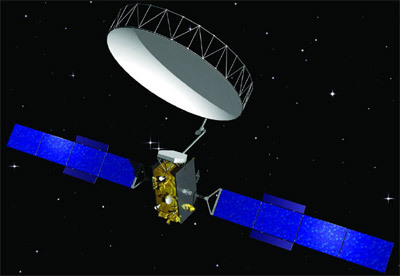 Alphasat will be the satellite using the Alphabus proto-flight platform, achieving in-orbit validation of the platform through a commercial operator. Implementation of a Geo-mobile application will use the Alphabus platform design in a configuration that requires a 90 degree change to the satellite flight orientation to improve accommodation of the feed/reflector configuration and allow the embarkation of a large deployable reflector. Both of these capabilities will be offered as options in the Alphabus portfolio.